Sewing Machine Carry Case Bag - Stiff Inserts at Sides- Super De- Luxe Quality BLB50 Sewing Machine Carry Case Comes with Stiff Inserts to protect side of machine. Will hold all sewing machines, keeping them clean and portable. Comes with carry handles! 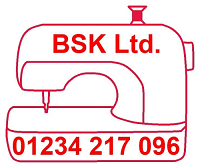 Will hold all standard size domestic sewing machines, keeping them clean and portable.